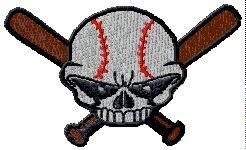 WWW.GLOVE-WORKS.COM BASEBALL GLOVE COLLECTOR FORUM • View topic - Great news! Post subject: Re: Great news! this is great news. very cool and something lots have been waiting for. i'll ask the obvious question since I'm sure I'm not the only one that can't wait 4 days...any idea what the price is? i don't see it on the site. Thanks for the plug Gabe! Okay, so here's the long version scoop. Up through 2010 I was selling gloves with a website that just provided information. Players would take that information, trace their hand on paper, write out a paper check, and mail that to me. My workload was always going through chaotic thick and thin periods. Then things got crazy. I made the first non-leather glove ever to be used in an MLB game, the AP ran a story on over 300 news outlets across the world, and my labor of love got overwhelmed. There was one 24 hour period where I received over 200 different emails requesting to buy a glove. People didn't like being turned away. They tried every trick in the book for me to make an exception for them. This is when I switched to eBay auctions. It was a fairest way that I could make the gloves available to anyone, it gave me a steady workload that I controlled, and the money was good. The average auction price over three years was around $560. People didn't like this either. Now that I've sorted out many of the business needs (new materials, machinery, e-commerce website, training employees, etc.) I'm now able to offer people what they want: an easy way to buy directly at a set price. We are going to start our pricing at $499 with free shipping on a first come first serve basis. The first to order will get their custom glove within four weeks. If demand is high then the turnaround times will increase and we will either adjust our pricing or stop accepting orders. We could have sacrificed some of our quality and ramped up production to cash in on the demand that we received earlier, but this simply isn't what motivates us. We have a lot of pride in making a small number of gloves to the best of our ability unlike any other gloves on the market.